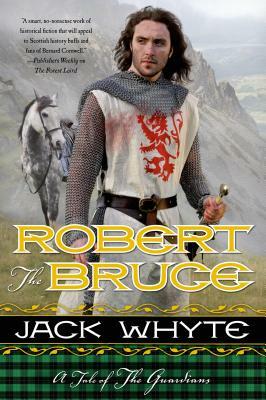 From author Jack Whyte comes the true story of Robert the Bruce: a passionate man. An incredible warrior. And one of Scotland's finest. Robert I, or as he is known to a grateful Scottish nation, Robert the Bruce, was one of Scotland's greatest kings, as well as one of the most famous warriors of his generation. He spearheaded the valiant Scots in their quest for freedom, leading his people during the Wars of Scottish Independence against the Kingdom of England during the middle ages. His reign saw the recognition of Scotland as an independent nation, and today Bruce is remembered in Scotland as a national hero. It was by no means a fair and easy road for this indomitable fighter. As a young man he saw the English king Edward I award the vacant Crown of Scotland to John Balliol. The nation quickly splintered into factions and this spurred Robert and his father to at first side with Edward and then against John, whom many of the nobles did not feel was the correct person to guide the nation. Thus began a decades-long path for Scottish freedom. To achieve this goal, Robert sometimes had to delicately balance the power of the nobles against the might of the English. He was a tireless campaigner and after a full life of battle and diplomacy, in May 1328, King Edward III signed the Treaty of Edinburgh-Northampton, which recognized Scotland as an independent kingdom and Bruce as its king.